Mark Metheny: Good evening and greetings from Columbus, Ohio, the center of the political universe for the next two days, if you will. … So I think I have both of my guest in the waiting room here and we are going to get into what they see going on out there right now and some predictions for Super Tuesday and for the presidential election and further on down the road. I believe we have William Stickevers on the line? William Stickevers: Yes, Mark, how are you? Mark: How are you doing, my friend? William: Great. Great to be on again. Mark: Thank you. Thank you very much for taking time out of your schedule. And I think we have Theodore White on the other line? Theodore White: Hi, Mark, thanks. Pleasure to be here. Mark: Thanks for sitting on hold there. … Okay, so we’ve got a list of questions here that I gave to both of you. So, William, do you want to start with what’s going on? We’ve have a little running joke about how angry it is out there. What’s your take? What’s going on out there? William: Well, basically what we’re seeing is a revolt from the middle class. We’ve seen the collapse of the middle class that has taken place over the past seven years where there was a recovery on Wall Street but no recovery on Main Street. And the middle class has deleveraged dramatically, somewhere between 30-40% depending on what sources you follow. So, the end result of all this exacerbated by [the transits] and the upcoming general election, of course. Also, this type of revolt and growing rebellion by the middle class is also impacting the working class now as the continued outsourcing and the globalization has been going unabated, full throttle, if you will, and has impacted virtually every sector of the United States economy. We are now seeing this voter revolt not only play itself out in local elections or state elections or midterm elections, but also in the presidential general election. This voter revolt is also all being exacerbated by the impact of globalization, which began during the Uranus-Neptune Conjunction in 1992, and coincided with the collapse of the Soviet Union, and agenda and effort on the part of the global elite who continued to accelerate and intensify the globalization process in this nation under the stewardship of the Obama Administration, the results that we are seeing now. And, of course, you have to factor in the Uranus-Pluto effect and the Saturn-Neptune that are now key mundane astrological factors. And also the Jupiter-Saturn alignment that will come into play this month through November. Theodore wants to talk about those transits and then how they’re playing themselves out on the mundane level, and then I’d like to go into talking about the voter anger because I believe I was one of the first astrologers out there to detect that and publish some predictions based on that and why we’re seeing the continued rise of Donald Trump, along with the counter-insurgency development in the Democratic Party as well Bernie Sanders. Mark: Very good. Theodore, do you want to comment there? Theodore: Yes, that was a pretty fine overview by William. I’d like to add on the overall atmosphere right now, for your listeners, concerning what’s going on in the country and the world generally with these planetary transits. William alluded to the Jupiter-Saturn square or near square which is now in play this month and we’re going to get an exact one. We’re in a mutable middle year so we have plenty of mutable energies about and it’s also coming into stronger play as we get close to the spring season with the Vernal Equinox on March 20th. So this time of year, generally people tend to become a bit unbalanced why at the same time wanting to involve themselves in a lot of activity and, you know, going out into large crowds such as rallies is not such a great idea with a lot of that cabin fever that’s built up over the winter. So we’re going to see more and more of that in the spring. We’ve already seen plenty of it going into last week with the tense and sometimes violent reactions at Trump’s rallies. The Chicago rally, of course, was cancelled because there was fear of more violence. And generally what’s happening is that these mutable transits are causing a lot of instability and when you mix that with politics and religion, what happens is that you get a volatile mix there. Generally, what’s happening right now with the Vernal Equinox on March 20th, we’re going to see more of the transits of Mars and Saturn come into play. And these are malefic energies. You know, people have a tendency to overreach, there’s a lot of emotionally charged ideology, of course, a lot of finger-pointing. And so, with the anticipation of Tuesday’s major primaries, which William and I will get more into, what you’re going to find is more and increasingly volatile finger-pointing between people, there are plenty of people not understanding what is happening in the country, and of course to outside viewers in other countries it looks like a bit of a circus, which it has turned into because of unexpected candidacy of Donald Trump. Mark: Yes, and I just want to throw out there March 20th is International Astrology Day also. And we’ve got on March 23rd Saturn making a station as well. Theodore: Along with a lunar eclipse which will occur in Libra. Theodore: Generally, yes, Mark, we also have a Mercury Retrograde coming up in late April. If you look at this month and the weeks leading up to the Vernal Equinox and into April, the increasing sunlight in the northern hemisphere is going to affect people. I would urge listeners to pace themselves, as I always do every year, to pace yourself into Spring, and try not to get into the large crowds and gatherings and that sort of thing. You know, try to pace yourselves with the increasing sunlight, of course we just returned to Daylight Savings Time, and be aware of the environment and the people around you because some people have a tendency to rush and also become emotional because they’re not able to handle more of the sunlight so quickly. So that’s playing a role in what we’re seeing right now with the election and the primary season. Mark: Very good, totally agree. William, you alluded to the rise of the anger and some of the other things we’re seeing. Do you want to expand on your original message there? William: Yes. Basically, we touched on the Jupiter-Saturn alignment that is occurring at the time that the Solar New Year will begin. Which for those folks out listening out there– it doesn’t begin on January 1st, it always begins on March 20th when the Sun ingresses into 0 degrees Aries. And that astrological chart is a very good “general weather indicator” of how the year is going to turn out, especially in terms the rise and falls powers, of kings, of presidents and, of course, the outcome of elections. So with the Solar Ingress chart, we get a really good idea of what is on the even horizon. And when you look at the 2016 Ingress Chart, you notice that we have an eclipse that occurs very close to that time and Jupiter-Saturn square that occurs. In mundane astrology, the Jupiter-Saturn square very much has to do with bread-and-butter issues. It has to do with job equality, economic equality, jobs growth, and unemployment. It has to do with those things that are very much in play now among blue collar workers that are now defecting in droves from the Democratic Party and voting for Trump. Also, there is a certain amount [of blue collar voters] who will vote for Sanders, but there are just as many, if not more voting for Trump, especially in the Rust Belt area of the country. And this is becoming a major, major issue now, simply because the Democrats really don’t have — at least the establishment Democrats — an adequate response to this development. So it’s something that astrologers need to factor in because that voter anger is increasing [due to the slowing economy] and many Democrats fear that Trump’s appeal to the working class voters really can make him a formidable opponent in the general election. Based on this trend, I believe what we are going to see is a massive, massive outpouring like we’ve never seen before at these Trump rallies. Also, we’re going to continue to see much bigger turnouts by the demographic of people that could be defined as “working class heroes.” Actually, it’s more like what we are seeing is a working class tragedy that’s now in play with this election. And this is something that the Establishment Elite for both the Republican and Democratic parties [and their chosen candidates] don’t have a sound strategy to deal with. Now I could talk all night about the voter anger but it all really comes back to the economy and the fact that people are feeling desperate and lack a sense of future. And historically desperate people tend to do desperate things, both constructively and destructively during periods of change, pain, and crisis. When you factor in and add in the Uranus-Pluto complex, which is the key fundamental archetypal underpinning force that continues to exert its power on the world stage, it’s always going to accelerate and intensify anything it touches. It adds urgency to the voter revolt that is essentially a working/middle class insurgency at play. Therefore, I would say that any running candidate that goes from one extreme to form the [political establishment] right or the other extreme to form the political left is going to be the one that galvanizes the collective and excites the electorate, who then goes on to garner the most support and ultimately gets the most votes in political contest. I believe what is really befuddling many astrologers out there who are predicting a Hillary Clinton landslide in November (that would likely be the case if this was normal election) is the growing political insurgency that is now underway all due to the converging major planetary alignments whose archetypal forces are coalescing into a perfect storm. Mark: Very good. I totally agree. There’s a lot of stuff here. I’m sure it’s been hard for all of us to digest all the stuff that’s going on, with all that mutable energy. It seems like every five minutes every day there is a further development that’s happening. Theodore: That energy is going to remain for the spring until things calm down, going into, say, Memorial Day, Mark. And then we’ll get a bit of a pause there, and everyone will be gearing up for the convention season in July in Cleveland and here in Philadelphia. The thing is, let’s focus on what’s happening with Hillary Clinton and Bernie Sanders. Right now with these transits, what we’re seeing is that Bernie Sanders keeps doing pretty well in the big northern Midwestern states, and on Tuesday it’s a good bet that he wins Ohio, even Illinois, and possibly Missouri. And facing this, I think one of the problems that Hillary Clinton has here, even though she’s picking up more delegates than Sanders at this time, is that her allies fear that Sanders is helping Trump who is, of course, the front-runner in the GOP race. If we look at Florida, we’ll see that Florida’s got more senior citizens than any other state. It’s got about 20% in the population who are 65 and over, and they do vote, about 72% of them do cast votes. And so that’s an interesting play here because of course Trump has plenty of past background in Florida, and so Rubio’s got to really make a good showing here but I don’t think he’s going to last past next week. If you look at what’s happening to Bernie Sanders, with his nativity, I’ll just talk about his progressions right now. Bernie Sanders has a progressed Moon in Capricorn right now, which is making some stressed aspects to his natal Moon in Aries. And his Mars, his progressed Mars is in Aries as well going into convention season. So there’s some stressors here with Sanders most likely pressured to kind of put a tie on whether or not he thinks he can continue in this race. But with this Moon in Capricorn, I feel that Sanders is going to continue the race and put more pressure on Hillary Clinton. Mark: Yes, I’d agree on that. William, what’s your take on that? William: Well, I’m a lot more bearish on Sanders’ prospects. I’ve been following his campaign closely and in fact I think I’m one of the few astrologers out there that’s actually been calling each primary on my website. I’ve been looking at prediction markets and using them as a barometer, along with the polls, as of means to make informed mundane horary political contest predictions. As I see it now, I believe that the only race Sanders has a really good chance of winning on March 15th is Missouri, and Illinois to a much lesser extent. In regards to the Republicans, I see Trump pretty much cleaning up. However, it’s going to be a very close race between Trump and Kasich in Ohio. Kasich has the edge for the moment, again it’s going to be a very, very tight race. Trump is going to run pretty much the rest of the field in Florida. In North Carolina — Clinton and Trump have that contest pretty much down. In general I think it’s going to be a really good day for Trump, and I believe it will be a good day for Clinton, to a lesser extent as well. I believe this race will define itself very clearly after March 15th. Because it’s going to become clear that Hillary is going to dominate the remainder of the Democratic race and the Republican race will come down to Trump and Cruz. Also, here’s the other thing — and I know 99% of the astrologers will disagree on this but I need to bring this up — Sanders dimming prospects to win the nomination. At this point Sanders would not only have to defeat Clinton in the big states such as Ohio, he would also have to defeat her in each one of the major states [California, New York, Florida, Pennsylvania, Illinois] by at least 8 points in order to get the necessary delegate share in order to start gaining on her. Now keep in mind when I have done political contest horary snapshots of Sanders’ campaign with my students — and they are pro-Bernie — they see that Sanders’ campaign lacks the necessary momentum to catch up to Hillary. There is no way to turn a contest horary chart whose testimonies shout “no” to shout “yes”, and that is what needs to start happening for Sanders to defeat more formidable political contender such as Clinton. For the listeners out there let me state this again. Because there’s no winner-take-all states in the Democratic primary calendar that could swing a whole batch of delegates to Sanders’ side, like you see in the GOP, Sanders would need an 8-point victory over Hillary (54-46). More than half of all the remaining delegates are in just six states: California, New York, Florida, Pennsylvania, Illinois, and Ohio. In order to catch up with Hillary he would need to come out ahead in ALL OF THEM. Also, Sanders needs to rack up landslide after landslide, with a 12-point victory (58-42), in all the other states remaining where there are 70% white or more voters, in order to come away with about 62% of those delegates. Again, Sanders would have to win BIG in Indiana, Wisconsin, Oregon, Utah, Idaho, Kentucky, and West Virginia. Also, Sanders would have to bring Hillary to a draw in those remaining states where non-white voters are very heavily represented. Even after all that, Sanders would still barely have majority of pledged delegates needed to win, and then would have to lobby enough of the superdelegates to swing back to his side between the last primary contest [in June] and the Democratic convention on August 13th. Mark: Right. You and I have talked about this; I totally agree with you. I’m going to convert some of those numbers a little bit for people listening. So right now, the normal delegate count is 766 for Clinton and 551 for Bernie. So that is a difference of 215 delegates. Bernie would have to win every state by about 15 delegates per state. And then when you add in the superdelegates, Clinton has a lead of 465 to 25 in the superdelegates. So the total count is 1231 to 576. So, on top of Sanders having to win every state by 15 delegates, if Hillary wins one state, that number goes up to where then he has to win every other state by 18 or 29 delegates. William, you and I have talked about the superdelegates before, and I think we’re in agreement that neither one of us feel that many of the superdelegates would switch sides. Theodore, what’s your take on the delegates and superdelegate counts? Theodore: Well, on the delegates and superdelegates, Hillary Clinton’s got pretty much the mathematical edge over Bernie Sanders. It was obvious from the start when Hillary Clinton entered the race, her second, for President of the United States that she was basically not going to make a mistake like she did in 2008 by not seeing Barack Obama. And so she went around picking up most of the delegates in backdoor meetings and that sort of thing, along with many of the wealthy Democratic donors. Going into Tuesday with the primaries, the primary states are going to be Florida, Ohio, Illinois, North Carolina, and Missouri. I also happen to be an astrometeorologist so I expect to see a pretty stormy day, especially in the Midwest. You’re going to see some temperatures out there go up 10-20 degrees Fahrenheit above average, especially in Missouri, Illinois, and Ohio by Tuesday. And there’s going to be some severe thunderstorms in the Chicago area, especially. Ohio voters are mostly deterred when rain persists throughout the day. Those further back in, say, northern Illinois will most likely go to the polls because they’re not strongly impacted by adverse weather; the voters there tend to have a higher turnout when weather conditions are relatively cooler. But these warm temperatures also show that this Tuesday, March 15th. We’ve got a Moon in Gemini so that’s the windy weather there, stormy weather, and the Moon is just going to be coming off a working square to Jupiter and also to Mercury, and we’ve got a Mercury-Jupiter opposition on Tuesday, March the 15th with these primaries. So it’s going to be a really intense day for those who are still in the race as well as the supporters. And then after the primaries are over, of course, the Moon will make its ingress into tropical Cancer and people will try to calm down. But do look for a pretty stormy Monday and Tuesday with these transits. There is also a Venus-Mars square. Venus is transiting about 3 degrees Pisces and Mars is at 3 degrees Sagittarius, so there are a number of mutable squares happening right now going into Tuesday, and it will make for a pretty emotionally charged day. Mark: Very interesting you say that. So I’m looking at the current AccuWeather forecast here… it says 69 and warm but we’ve had rain since yesterday afternoon through this afternoon. I’m not going to be surprised if we don’t see some maybe flood warnings if we get more rain here. Theodore: Right, right. It’ll start to continue to rain, Mark, in Ohio during Tuesday’s primary. So, the voters there should definitely expect it to be warm, it’ll be windy and it’ll be wet. Mark: Very good. So let’s move on to the Republican side for a minute here. I’ll have you guys throw in. Theodore, what do you see out of the charts for Trump and Cruz? Theodore: Well, I see Trump picking up more states. Ohio and Florida as well. Also Illinois. As William alluded to earlier, the middle class voters in these northern states have been angry for years. And this sort of reminds me of the Reagan Democrats, what happened where Democrats sort of left the party and crossed party lines and voted for Ronald Reagan. And what we’re seeing with Trump’s populism is many of the middle class and those also under the middle class have basically felt locked out of the American Dream, and so they’re responding emotionally to Trump’s candidacy. It’s taken the media, of course, by surprise and what’s happening now is that Trump is the front-runner and is looking for the nomination. I still see the GOP establishment looking for ways to stop Trump from becoming their nominee. And so what we’re going to see with these world transits are a collection of a lot of brow-beating, a lot of backroom discussions, and so on, of course still raising money to try to avoid a brokered convention. There are many opinions on whether or not a brokered convention for the Republicans would favor the Republican party in the race although the supposed winner of the Democratic campaign, Hillary Clinton, they’re hoping that they will see some kind of morass at the Republican Convention in July, followed by the Democratic Convention in Philadelphia, so they can basically use that as a contrast to entice more voters. The perception problem for Trump will be what’s happening now where you see plenty of tense encounters at many of his rallies. This hurts Trump in a lot of ways. And I’ve reminded people that there had been paid provocateurs to go to Trump’s rallies to cause problems. What you saw in Chicago was a pure example of that. But there are also Trump supporters saying that, contrasting that who have shown their anger at people who are protesting at Trump’s rallies. So what we’re seeing here is a perception problem for Donald Trump. I know William’s probably going to pick up more on this. But it’s not going to stop Trump from being the front-runner. And it going to come down to Trump and Ted Cruz. Mark: Very good. William — your take on that scenario? William: In my view Trump will win Florida and, therefore, all 99 delegates up for grabs in that state, and that will knock out Marco Rubio once and for all, and he will step down from his campaign — that’s my prediction — within a couple days or shortly thereafter. Ohio alternatively is much harder to call. The polls there are contradictory. The horary snapshots I have been doing for the Ohio race with my horary students are showing a very, very tight race. It’s still up for grabs no matter what the media says. I believe we’re going to see more poll numbers show Trumps momentum to continue between tonight and Monday night. Cruz appears to be making very little effort in those states, because he recognizes the only thing he can do at best is hurt Trump. So he’s been focusing on Missouri, which is a winner-take-all contest, and also North Carolina and Illinois. Again, in Missouri I feel Cruz will run a very close race with Trump. My forecast still shows a win for Trump but it will be very close and it could go either way on that one. I strongly suspect the outcome of Tuesday in the end will be Trump getting the most delegates, with Cruz second, strengthening the idea of the two-man race that Cruz desperately wants. If Kasich wins Ohio, he’ll stay in to alter that narrative a little bit, but I don’t see him doing too much to alter the outcome of the race from that point on. Mark: For the Michigan primary. William: Right, in the Michigan primary, it really gave him the breakthrough he really needed, though they both ended up getting the same amount of delegates. So it’s the anti-free trade message that’s breaking through the Rust Belt — that will be the key thing to watch for. And that is not good thing for Hillary Clinton because she [along with Bill Clinton] was all for NAFTA. She is also a supporter of the Trans Pacific Trade Agreement. Trump also won in Michigan primary with a strong anti-NAFTA message, stating that Kasich voted for NAFTA when he served in Congress. So that’s what’s making this race in Ohio so close. Trump is stating his case very well. Also, he’s got very good transits to his natal chart this weekend. Kasich, is also in favor of the Trans Pacific partnership, so that’s another thing working against him. Also keep in mind all these transits are all culminating [as we get closer to the Spring Equinox], so to me it’s more of an indication that Trump will continue gaining greater momentum, greater traction, and greater voter outreach. His support is going to continue to increase. 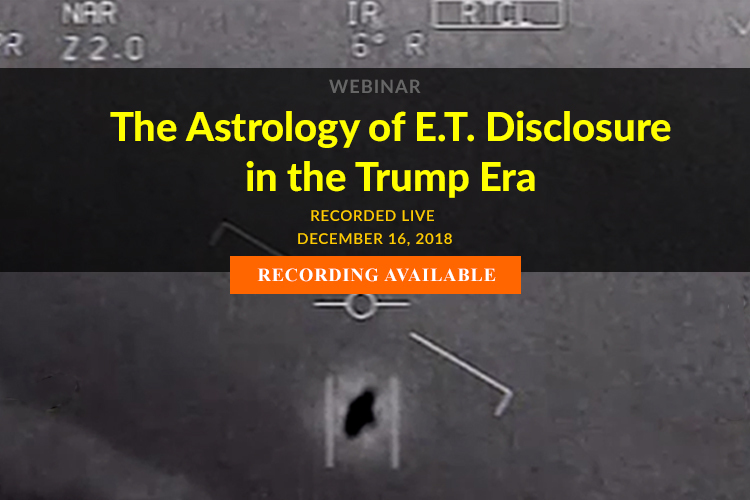 He is not fading away and imploding as most astrologers continue to pontificate with their “one-aspect astrology.” Where they find one transit, saying ‘oh yeah, he has Saturn square Uranus’ and then they go on about his most recent controversial outbursts, or how voter protesters are going to derail his campaign. That is so far from the truth, when there are multiple [benefic] active solar arcs and planetary transits to her chart that are operative now, indicating he will continue to remain the front-runner. For Trump is changing the course of politics. He is not just disrupting the Republican oligarchical elite within the establishment, but also tapping into those supporters who are very angry about the way government and business worlds have colluded, and who are completely demoralized by the Obama’s stewardship of the economy. As the establishment continues to marginalize their anger, it only incites voters and today people are just furious with the system. And by the way, if Trump fails to win, there will be more Donald Trumps in the wings, and also more Bernie Sanders to emerge for that matter. For none of this is just going to go away like most people think, and it is this [type of thing thinking] that is one of this biggest frustrations with the astrological community that continue to believe it’s more of the same old [general election], except where in 2016. You know when we all saw Jeb Bush with his $121 million campaign collapse so early in the [primary] season, that was a big sign to me that something big is at work within the collective. Something big major change is at work. Something much, much greater in scope then we have assumed. For I think we may have a movement going on. Now this is not an endorsement of Trump in any way. For I’m not saying he’s the perfect candidate, or that I want him to win no matter what. Not at all. What I’m saying is that there is an emerging populist movement in play in this election that has an archetypal underpinning to it. The astrologers should do a better job are articulating that archetypal energy. But no – many [pundits and political forecasters] it feel are just trying to marginalize what has been going on. This is especially so because the media hates Trump to the core, and dislikes the fact that they are no longer able to play king-maker and losing their power, considering that they will be irrelevant with the internet displacing them. Mark: I totally agree with that. I’m going speak to personal experience to some of that. So I’m sitting here in Ohio, and I’ve worked manufacturing jobs for many years, in the international shipping trade, if you will, now. And, yes, the last 15 years the layoffs and continual closing of manufacturing plants, I think that you’re spot on that Trump and Sanders on that issue are going to destroy their opponents because anyone wanting to continue business as usual in the financial manufacturing and business fields, they’re going to get laughed at because no one is seeing these business-as-usual creating any jobs. And I think both of you spoke a minute ago about people switching sides to vote in the primaries. I live in Ohio, a large amount of my Facebook friends are in Ohio, and I will say I’ve seen a very large percentage of Republicans not really liking the candidates, and there’s an interesting ideological ballet, if you will, between Bernie Sanders and the Republicans. Because a lot of the Republicans don’t like Bernie because of the socialist phrase, but on another level, he voted for the Audit the Fed bill, and I think for the people who follow that, that resonated with people and he was, I believe, the only Democrat to step across party lines to vote for the Audit the Fed bill, which in my mind brings down the house of cards. So I’m seeing a lot of my Republican right wing people shifting over to vote in the Democratic primary to vote for Bernie because they don’t like Hillary’s failed financial and trade deals. And I’m seeing the opposite too. A lot of my Democrat friends crossing over, the majority of the seem to like Bernie but feel they could live with Hillary, but they really dislike Trump. So I’m seeing a lot of my Democrat friends crossing over to the left to want to vote against Trump. From where I sit in Columbus, Ohio, I feel that the poll numbers that are out there for the Ohio primary for Tuesday that they are very skewed as to what’s really going to happen. William: Mark, what do you think is going to happen in Ohio? Mark: I think Bernie defeats Clinton in Ohio. And I will have to say on the Republican side I would have to give a slight edge to Kasich. Now, an interesting thing that’s happening is with Rubio. I believe there’s already been a backdoor deal done between Rubio, Kasich, and Cruz, or at least Rubio and Cruz. Because Rubio came out and said — I don’t think I’ve ever seen anyone do this before — he was actually urging his people while he’s still in the race to vote for Kasich. Because they’re wanting to stop that steamroll, the Trump train of getting the needed delegates before they hit Cleveland in July. So I think you’re going to see a big turnout, not that Rubio has very much pull. I think there’s enough people that don’t like Trump and I think the voters for the other three will unite a little better than they have in other states. I actually see Kasich winning Ohio. Theodore: Well, Mark, at this time Trump and Kasich are tied in the conventional polls, at about 33%. To get down to brass tacks, this Capricorn astrologer is calling for a pretty healthy turnout with the transiting Moon in Gemini and there’s going to be stormy weather. But in Ohio, the brass tacks are this. Most people don’t know that in this primary, every Republican primary voter in Ohio is going two choices to vote for presidents. This basically is going to add a ton of confusion so you’re going to have to sit and wait out for Ohio’s results to come in on Tuesday. The ballots for the Tuesday primary feature two boxes for president. Now, there’s one for designating an at-large presidential delegate, and then there’s another box for delegating a district delegate. Now that came from the time when Ohio’s Republican vote was divided proportionately rather than in a winner-take-all fashion that’s being used this year. So with two boxes at the ballot box, do voters get two votes or can conflicted voters split their vote, or do the votes for two candidates cancel each other out? And see, Ohio never really changed the requirement that box boxes be listed, so their Secretary of State’s office says that both will be tallied, but the Ohio Republican Party says only one will count. So this whole thing that’s going on in Ohio right now is about two boxes. Again, one box is going to be for a Congressional district delegate, and one for delegate at large. So you’re going to have some confusion coming out of Ohio with a Gemini Moon. It’s typical of a Gemini Moon going on at the time when Ohio’s primary is going to take place. This is going to cause confusion and you’re going to see a race between Kasich, who is the governor of Ohio, and Donald Trump. And of course the weather is going to play a role in this. Mark: I agree. This sounds like a “hanging chad” scenario waiting to happen again. And I’ve seen the ballot, I totally agree with you. It is very confusing; I can see this being a total fiasco out of this. Theodore: To further complicate this, the Republican in Ohio still have the 11 at-large presidential candidates, and up to 10 district level candidates. But there’s only four — Trump, Rubio, Cruz, and Governor Kasich — who remain in the race. And if you look at the Democratic primary ballots in Ohio they just feature one box, with three candidates. Mark: I think I mentioned at the beginning of the show, my dealings with the central Ohio Republican party being less than up and up, so this kind of sounds like a perfect storm to have chaos, and if you wanted to do something to manipulate the votes it sounds like it would be very easy under this scenario. Theodore: Well, the Gemini Moon that’s happening now going into Tuesday, there will be large turnouts, there will be confusion again coming out of Ohio’s primary on the Republican side. So it’ll be a late night there. And with what we’re seeing with the weather coming into play, the voters in Ohio are going to be voting in the GOP primary will have to spend a little bit more time at the ballot box figuring out what they’re going to cast. So the numbers there are going to be skewed, hard to read. Mark: William, do you have anything to add to that? William: I totally agree with what Theodore is saying and what you’re also saying. Again, totally in agreement here. I’m just not as bullish on Sanders, the more I keep looking at his natal chart. Yes, I know all these astrologers out there see all these wonderful things active in his chart [with the Jupiter-Sun transit that’s now operative]. But I see a nasty transiting Saturn squaring his Sun right now, and I also notice that his Solar Arc Sun is opposing his natal Uranus. Also I see his Solar Arc Pluto opposing his natal Moon. These I must say are not powerful testimonies that indicate the crowning of a new leader. For Sanders I just think it’s going to be very tough for him to win. I will be surprised, pleasantly surprised I may add, if Sanders does very well in Ohio. I’m not saying he won’t. But he’s going to have to over perform to do so, but I still do not think it will be enough. What I mean is it will not be enough to make the difference when it comes to the delegate count because this is all a delegate contest at this point. And although Sanders has momentum, I do not believe it’s sufficient enough to do the job, to set the momentum far enough so he starts winning the other six big states that’s really going to be required for him to maintain a competitive race and to win over the superdelegates. Again, I’m sorry — I know right now as I speak, I’m upsetting a lot of people listening to this show – but I just do not see a Sanders victory at the end of the day in terms of what happens on Super Tuesday, and how it develops further out forthcoming primaries that lead up to the Democratic nomination. Mark: Totally fine. I probably already upset the audience at the beginning of the show. So anything either of you want to add on this portion, on what’s going to happen in the next few weeks or next few days? Theodore: Yes. Well, what we’ve got is a tense spring season, especially this month, but going into April as well. And then what you have by mid-April, things will start to ease up a bit, people will have had more sunlight, and then we’ll close in on the money portion of what’s going on with candidates. The leading candidates who will seem to have won a clear majority of delegates just before the convention season are basically going to go back and try to firm up their donor amount. And you see some confusion with that, with Mercury retrograde in late April through May in Taurus, of course a financial sign in astrology. And then you find many of the remaining candidates trying to go into convention season already having nailed down their respective parties. The interesting thing about both the Democratic and Republican candidates is that the delegates themselves at these conventions will cause some problems, and establishment is concerned about that because they will tend to be very vocal about their respective candidate and will not want to be disappointed. So the energies pick up again in July. And remember, both the Republican and Democratic parties chose July because of what’s happening with the coming-up of the Summer Games in Brazil in August. Mark: Very interesting. I didn’t catch that. I noticed they were a little bit earlier than they normally are, but that’s a very good observation there. I did not pick up on that. William? William: Yeah, I do want to add to that. I’m also getting hit quite a bit by the astrological community, that regardless of how well Trump does, even if he wins most of the states on Tuesday and he goes on to win other states including New York and California and such, that there will be a brokered convention. First of all, you have to keep in mind that many of the pundits making these statements, and the forecasting astrologers; most of whom are really natal astrologers who pretend they are mundane political astrologers once every four years when a general election comes about, were the same ones who were predicting in December that Trump would politically implode and fade away. Since that time, Trump has won 17 states, he’s leading the GOP race with 458 delegates, and he’s now 779 delegates short of the required 1,237 [delegates]. So if you look at BetFair or any of the other prediction market, they all vary between 27 and 33% probability of a brokered convention. Also, during the month of July, Trump’s transits are very benefic and strong at the time of the GOP convention. We also had the Chairman of the RNC made a statement last week that there is 80-90% probability there will not be a brokered GOP convention. And let me tell you something, the reason they don’t want a brokered convention, is because historically, every brokered convention that resulted in an establishment nominee that did not win the delegate race, always lost in a resounding defeat by the other party. One example of that is 1968 Democratic nomination. And the Republicans are very aware of that. For as much as they may hate Trump, as much as they are attacking him from all sides now, and as much as they are spending money to obstruct him and derail his campaign, when it comes time to nominate someone to go against Hillary Clinton, they will not want to have a brokered convention. 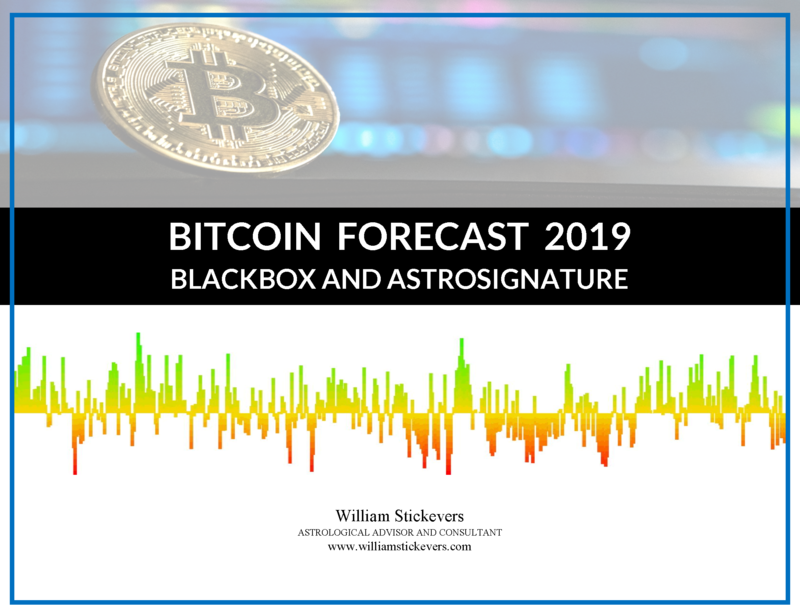 This is my take, and I also posted Black Boxes forecast graph on Facebook, that I’ll also post that on my blog shortly. Again, they will not want to have a brokered convention and risk losing the election, for they would rather have Trump win than have the Hillary Clinton be the next President of the United States. Mark: Very interesting take. I want throw this out to both of you also. The last day of the conventions are July 21st for the Republican Convention, and July 28th for the Democratic Convention. On July 29th, Uranus stations at 25 degrees Aries. We all know what that Uranus energy does. Uranus stations retrograde at 25 Aries on July 29th. Do you see that showing up as any kind of surprises and what not? I know earthquake and other activity is up around the outer planet stations. Do you see that signaling any kind of surprises or shenanigans or something like that? Theodore: Well, on July 29th of this year, Uranus will station, to be exact — I don’t want to sound like Mr. Spock here, but it’s 24 degrees 30 minutes. The thing about that is that it’s going to station on the last quarter moon day. The Moon is waning down on that day and will be in Gemini, I believe, and the Sun will be at about 6 degrees Leo, 7 degrees Leo. And so it’s sort of a winding down day. This is coming on the heels of the Democratic Convention so you see people sort of walking around town, trying to take in the sights before they head home with a last quarter moon in tropical Cancer, following the weekend just following the end of convention. So what we’re going to see is, okay, finally the conventions are over, the nominees have been chosen, people are going home and settling into the summer. And you’re going to have that sort of summer lull that goes into August where now everyone is gearing up to save their energy for the wildness that will most likely return in September, going into the actual general election. Here, what’s interesting is that Mars will have re-entered Sagittarius and by September will be well within tropical Sagittarius. Jupiter will make an ingress into tropical Libra at that time. And this is very interesting because Jupiter in Libra is where Trump’s progressed Jupiter is, rising on his progress Ascendant. So I fully expect Trump to be the front-runner with the caveat adding that because of what we’re seeing with the Mars-Saturn energies now on one of the Facebook pages I’ve been posting on political astrology, I’ve been warning about the malefic influences of Mars and Saturn. You’re starting to see some of the headlong, impulsive aggressiveness, emotionally fueled and clouded attitudes that are happening at some of these rallies, especially Trump’s rallies. And just the other day, some people may have seen that someone rushed the stage when Trump was giving a stump speech at this rally. So what we’re starting to see again are these Mars energies coming out, that some of the unbalanced are giving way to. So it’s still a very dangerous mix going into the spring. Mark: So, not to jump too far ahead, but something that has come across my peripheral, is around the time of the election which is November 8th, Mars actually enters Aquarius on the morning of November 9th. And about 10 days after the election, Neptune stations at 9 degrees Pisces, which is the same degree that it’s in on Election Day. I guess I’m stuck on planetary stations for today. When I look at politics and I look at Neptune, I see deception of some sort. That’s just how my brain is wired, I guess. Theodore: Well, we have to look at the overall transits. We have to look at what’s happening just before. The election is going to take place just after a first quarter moon. That moon arrives on November 7th, I believe, in Aquarius. And some of the stations that happened before the election, you’ll see them take place, from September onwards, the bigger planets usually go retrograde during the summer time in the northern hemisphere, so Saturn will already have been moving direct, I believe, by say, the end of the second week of August. Saturn will station at 9 degrees Sagittarius, and of course Mars will reenter tropical Sagittarius in August as well. This is just after the election season, so going into that time, there will be some political rallies to keep people interested in the upcoming general election. There are some interesting transits. September is a very busy month, and of course October you’re really getting into the thick of it, so by Election Day we will definitely see some interesting energies going about. And after the election, Neptune station that happens at 9 degrees Pisces, around November 19th or 20th is really related to Obama and his legacy time because the winner of the general election will then go into transition mode. And that station of Neptune will really be about people trying to look forward as they’re trying to establish the impact of Obama’s legacy as he’s ready to leave office. Mark: Interesting points. Yes, I’m just looking through my yearly handout I make. The energy from late September through the election is, I’d have to call it dangerous. An exact Saturn-Neptune square on September 10th. On September 26th we have a Pluto station going direct. September 27th Mars enters Capricorn. October 19th we have a Mars-Pluto conjunction in Capricorn. And October 29th we have a Mars-Uranus square in Capricorn and Aries. Theodore: Yeah, this picks up on what William wrote about some months ago, he picked up on the anti-establishment mood and the anger of the middle class. And if you look back on what William was talking about and understand this, you’re starting to see the generational planets, especially the outer planets, transpersonal planets, come into play again in September. There’s also the Saturn-Neptune square which is exact again on September 10th. And of course Jupiter [heads south by declination???] on September 21st. Mercury will have been retrograde and will station direct on the 22nd. Pluto stations direct on September 26th. And then you’re going into October and the energy is building up, again from the lull that we had over the summer time. Mark: The only thing I want to throw in here is something that’s interesting that another astrologer had pointed out was the last time that Saturn was square Neptune, where Saturn was in Sag and Neptune was in Pisces, was during the Salem witch trials. And I think you can totally see that energy out there, where everything is Obama’s fault, or everything is the Republican’s fault, and just a lot of finger-pointing like you had both mentioned earlier and a lot of people trying to find blame for their woes often irrationally. William: One of the things I think the closest major outer planetary alignment at that time of the election is the culminating Jupiter-Pluto square. And that does not bode well for the Democrats because if you look when Jupiter-Pluto alignments were occurring in the past, we often saw the GOP come to prominence, whether it was the general elections or the midterm elections. So that’s number one. Number two, the Jupiter-Pluto alignment has very much to do with international terrorism, it has to do with geopolitical matters in regards to power struggles in regards to trade wars and to foreign policy crises. So we’re going to see that become a key theme latter in the year as well. Jupiter-Pluto is also connected very much with the development of plutocratic political power, or the overreach of government. And that is going to become a main issue with the electorate. It also has very much to do with the rise of populist movements, that is also very much connected in a way with the Uranus-Pluto. For Jupiter-Pluto alignments are strongly idealistic [in their expression], and it’s also very ideological. From this we can see a coming cultural and social clash with the establishment elite. What your most likely going to see is major class warfare unfold. You’re going to see massive sectarian quarrels and political differences [from all sides of the spectrum] really come out full force in such a way where it will no longer be deniable by the mainstream media. So a lot of that Obama, pie-in-the-sky talk of “hope and change we can believe in” will be completely obliterated during this year. So [as astrologers] we have to look deeply what the Jupiter-Pluto [archetypal complex] constellates in regards to attainment of power of all kinds. So I believe we’re going to see probably one of the greatest political power struggles that will take place right on TV and Internet for all to witness. While at the same time, you see the breakdown and implosion of the establishment and power elite that make up the core for both the GOP and Democratic parties. Also we will see a major shake-up of the oligarchy and a disruption of its [transnational] agenda for they will not be exempt. So it will not only be society in crisis, but the major political parties that essentially are puppets that answer and implement policy to and covert and invisible group that operates [and is known as the] Deep State. So again we’re going to see highly volatile situations erupt, without warning, during this election, and Theodore and I have talked about this often over the past year. Today I think we’re both holding back about this because we’ll probably talk about this at length and on a much deeper level at another time, but in terms of the markets and the economy, there’s a high probability before November, we are going to see a massive sell-off in the markets. First start with the bond markets, then the stock markets, then the currency markets. Mark: Okay, so let me be Debbie Downer her for a minute. Do either of you see any chance of more than 25% of the population being happy after this election? Theodore: Certainly, yes. One-third of the population is always going to be unhappy with whoever wins, maybe one-half. But you’ve got a third of the population who is establishment, you’ve got another third which is anti-establishment. And then you have the rest of everyone out there who is not sure. William alluded to this with the poll numbers that he spoke about and this anger, this anti-establishment anger that’s going out has fueled a populist candidate. And we’ve had populist candidates in the history of the United States, but they are always seen as a threat to the existing power structure in the establishment. So we’re seeing that play out. And whenever we’ve had this happen, we’ve had dangerous situations where someone could be shot and/or hurt seriously, especially with planets in play like Mars and Saturn this year. William: I would say that a minority of voters will be happy with the candidate who wins the election as president. I don’t think we’re going to see unification unfold in this nation. I think we will remain divided, between left and right. I also believe the economic inequality [and disparity between the have and have nots] is going explode by 2017. Well…. let me just cut to the chase on this, and that is I believe we’re heading towards a depression. For we’re already in a recession. We are heading towards a depression. The question is, does it become another Great Depression or the Greatest Depression? What level of intensity will it hit? And the next president is going to have to deal with that. The newly elected president is going to face an uphill battle between January 2017 to the end of their first term in 2020. So I think that the growing voter anger followed by a disgruntled electorate is something that just doesn’t go away. People are going to want results regardless of who gets in office. And they’re going to want to see massive action and relief [to their plight]. They’re also going to want to see some dramatic and constructive change, that demonstrates to them that the government is now moving in a direction that restores order that gives the people a sense of direction, that provides some clarity with moving forward, and leadership that has vision in regards to the nation’s economy. And if they don’t get that, we’re going to see the rapid breakdown of the republic. Because either we’re heading towards a major social revolution leading into some major reconfiguration of government in 2020, or an all-out and out bloody revolution. In my opinion it’s going to go one way or another. By the way, I know I’m not the only astrologer saying this; I know Theodore sees it along those lines as well. If the next president, whoever that may be, is to be successful, they really have to live up to the representations and statements they made during the general election or face the dire consequences of social revolution. Theodore: I agree. I agree with everything that William just said. The reason why I know that he’s concerned about it because he’s seeing the same things that I’m seeing. We see the current trends in play and which ones mix in with the overall anger that’s out there about the economic place of many Americans, especially the middle class. If you run cycle transits for the transition of government after the November 8th election, you’ll begin to see as Jupiter has made ingress into Libra, it begins to come onto a — this is right around Thanksgiving of this year. You’ll see that Jupiter is in Libra, you’ve got transiting Venus conjunct Pluto in Capricorn which is being squared by Jupiter. And then you see Uranus making a square to the transiting vertex in Cancer. Also there is that curious Neptune which you keep talking about, Mark, conjoined to the South Lunar Node in tropical Pisces. Now that’s a problem because it causes some people to go into an emotional, clouded funk, which is very dangerous going into 2017. It becomes an increasingly cardinal year of confrontations, people having issues with one another based on their political and cultural biases, and that sort of thing. So the new president coming is really going to have to get on the ball and hit the ground running and that’s going to be kind of difficult. I don’t see the new administration really coming into its own until, say, June/July of 2017. And then by that time we’ll be a month or two away from the total solar eclipse which will happen over the United States in mid-August 2017 in Leo, and this will definitely impact Donald Trump because it falls exactly on his own natal Sun and makes a number of malefic transits to his progressed positions. So the United States right now is a very curious state of affairs, and the eclipse next year is kind of a warning to the nation to sort of get itself back on some firmer footing and right now people are not on the firmer footing. People are finger-pointing and they’re really going to miss out on some of the most dangerous transits in the last couple of years coming up in 2017. William: We talk about eclipses, and all these mundane portents – but to me folks transiting Pluto is opposing the U.S. natal Sun regardless of what natal chart you use. It is opposing the Sun dead on, right now. By the way, if you use the Sibly chart, Pluto is on the 2nd house cusp or very close to — depending on what house system you use, it’s on the cusp of the 2nd house of the country’s wealth. The 2nd House rules the country’s wealth, its finances, assets, and currency system. So what does that tell you? We are in a brewing financial crisis. Also, transiting Saturn is on the Ascendant. And you have a large Mars-Saturn conjunction occurring on the Sibly Ascendant in August, as Pluto is still sitting there opposing the U.S. Sun. So when you look at these portents and all this things, Eclipses is just overkill at this point. We are in a crisis! Nothing is going to be normal for a long time. Everything is going to be just blown out of proportion on all ends, and on all sides. There’s going to be a titanic clash of forces in this nation. For something wants to die and break down while something else new wants to be reborn. And it’s going to be very dramatic, and there’s going to be a great struggle that’s going to take place while this process is happening. So for everyone to say with all these posts [on Facebook as of late], ‘what are you talking about, let’s get back to normalcy here, ‘ get real! You know, Theodore and I have been telling you that his has been coming. Why are you all surprised this is happening? Why are you all acting like, ‘Hey, I don’t get what’s going on.’ Its simple, follow the transits for what they are and realize there is no going back [to 1985 when all was well in the world]. Again, there is no going back anymore, folks. We are entering the Twilight Zone. We are going into unknown territory. This is the collapse of America 2.0 [1900-2020-and the emergence, if we’re lucky, of America 3.0. That’s what’s really happening now. Are we going to get the leadership that we really need to make that happen? I don’t know. But I can tell you one thing — anyone who does not include and factor in the American oligarchy that is deeply entrenched and embedded within the deepest levels of America’s military industrial complex and central banking system and within the nation’s intelligence complex — is not going to be able to make informed speculations and conclusions of what’s really happening with the nation and how things are likely to turn out in the forthcoming years from the time the new president is installed in office. Mark: So what we’re seeing coming up is a total reshaping of our existence, especially our financial existence, and the people we associate with. William, do you want to add on to that? William: I’m trying to be a little bit over the top because sometimes if I play it down and try to be the voice of reason here, people still go back and they think, ‘Well, it ain’t gonna be that bad.’ No, folks. It is going to be that bad. Look, here’s the thing. We lost $16 trillion in the market from January 1st to February 1st, 2016. You have negative interest rates rampant around the world with the exception of the U.S. Even Canada intends on negative interest rates, which is a slow form of bank bail-ins. And now the Fed is talking about negative interest rates. We see the deflationary global collapse, the failure of globalization, the central banks have lost control. The central banks are run by an oligarchical elite who denies its own existence who provide the marching orders to the leadership of government including in the United States that have control of the major parties. And you’re seeing a complete breakdown of the entire system worldwide. All of this is coming to a head come this fall. This must be factored in. Now, I will say, right up front, the Democrats certainly have the advantage with this election. But with everything that is in play, no one can say this is a Hillary landslide, a shoe-in right from the start. This is not the case simply because as the economy continues to implode, it will help the Republicans. It will fuel that populist movement that is taking place and is not going to abate in any way, even after the election. So we’re seeing the perfect storm, a perfect culmination of transits and mundane portents all playing themselves out on the world stage. And the United States will become ground zero for that as we see a significant shift in leadership. The question becomes, does the oligarchy survive another day, or will we see a populist rebellion take place? Mark: Yeah, I feel that energy… Excellent points. There was something I ran across, I saw you put up a post the other day, looking to the 2020 election when you look at that timeframe, there is a Jupiter-Saturn-Pluto stellium in the late degrees of Capricorn and the week of the 2020 election Mars is in Aries, which is rules, and it stations while making a square to that Capricorn stellium. Theodore: It’s a whole different time. It’s a whole different time, Mark. I mean, when you look at 2020, it’s a different era. The true 21st century is beginning. 2020 is the major transition year where the generational establishment is over for the Baby Boomers, and it’s also over for the oligarchy. And what we have here is 2020 is the opening of just a new era. So people need to understand that from now to the end of solar year 2020, we are looking at the waning influences of the latter half of the 20th century. And I’ve been forecasting the arrival of global cooling to come, there’s going to be a new economic reality worldwide in the 2020s, and the old establishment and the oligarchy are basically either very old or have passed on. And so this is an important time for Americans, especially for people who follow mundane astrology, to sort of get their lives arranged and to sort of be looking ahead to the next decade. Much of the influence of popular culture media — television, especially, and online media, social media — there’s too much of what I call a Twitter mentality, where people have myopic lenses and are not really looking three, four years down the line, much less five or 10 years. But believe me the 2020s are going get here faster than you think. So it’s an important time for people to be asking some important questions about their own personal lives, their professional lives, and also to make sure that the groups and organizations you belong to, to see if they are really minding the near future as much as they may claim to be. Mark: Right. And even at that point, it’s only a couple of years from then when in 2024 Pluto enters Aquarius and God know what that will bring. Theodore: Well, the Pluto in Capricorn that William talked about, the United States is having its Pluto Return. So the Americans alive now are essentially trying to redefine themselves. So there will be a tendency for a lot of Americans on the left and the right to try to understand how our Constitution brought us to this juncture in our history. Most of that is going to play out in the next decade. However, what we’re seeing of many of the trends now, the financial trends, the economic and social trends that are going on, is really endemic of the demographic and the generational change that’s happening, the transition that’s been going on for several years. So as the Baby Boomer establishment begins to wane, and Baby Boomer establishment happens to be in the waning years of this decade, the 2020s is really about Generation X and the Millennials becoming the new establishment. And we are going to be living in a much different world than we are living in today. Mark: Oh, Godzilla vs. King Kong. Mark: I have the collection right in front of me. William: Right, right! And I saw that it will be release in the spring of 2020 I posted it [on Facebook]. I believe it will be released on March 18 or 19th, just before the Spring Equinox, When I looked at the theatrical release horoscope chart, I said, ‘Oh, isn’t that interesting’ – when they released King Kong vs. Godzilla, a 300 million dollar budget film, that will go into production in 2018, it will have a Mars-Jupiter-Pluto-Saturn stellium all within 4 degrees of each very close to Spring Equinox, when the Sun ingresses into 0 Aries. To me I look at the archetypal synchronicity of this, and that being the titanic archetypal clash of the super powers on a global scale. For those folks who don’t follow monster movies, King Kong and Godzilla are considered the two most powerful archetypal monsters in modern movie mythology, representing East and West — Japan being Godzilla and King Kong representing the West. And I just thought that was very interesting, and I believe that augurs very much metaphorically [the power struggle] that we are moving towards not only in this nation but in the world. Mark: I agree. Very interesting there. I’ll have to dig out my original version and rewatch that; I haven’t watched that it a while. Theodore: Well, Mark, in the 2020s, just a few quick things I wanted to say, right after 2020 passes into 2021, you’re going to see Jupiter square Uranus, Uranus will be in tropical Taurus, and Jupiter will be in tropical Aquarius. And then followed by that you’ll get a longer square from Saturn in Aquarius. Typically I associate Saturn in Aquarius with confluence of an economic depression. And so the 2020s, the decade itself is going to start off kind of rough. The Jupiter square Uranus features desire for freedom without responsibility, there’s too much over optimism, there’s impatience, there’s a lack of common sense. And another problem we have is that after Jupiter passes the square, you’re going to see Saturn move into its place and square Uranus and this will last longer, and that’s a problem. Your listeners should prepare for this. The years 2021, 2022, 2023, 2024, Saturn square Uranus will include unexpected difficulties. Reversals of fortunes can happen in the business and careers of individuals. There’s plenty of frustration in efforts for people to realize their goals and objectives. It’s not such a favorable time for joining or working with groups or organizations. There are plenty of problems likely to arise. It’s a sustained period of instability and frustration. So you can expect in the early 2020s, say from the first 4-5 years to be difficult, especially for the Millennials. So there’s a need for people now to sit and look carefully, say, at the next 6-7 years and to position themselves very well, by not wasting the time that they have now. Mark: Very good. So I think I want to have you both on individually when your schedules allow. Theodore, I want to have you on and talk about your earthquake analysis and predictions because that’s a hobby of mind. And, William, you’re very well versed on the disclosure agenda, I would like to have you on and go over some of that, as well as maybe some of your Vegas forecasting there. William: Absolutely. You’re talking about UFO disclosure? William: Okay. Very good. Yes. Mark: Okay. And, Theodore, we’d like to have you on talking about your earthquake predictions and analysis sometime here in the near future as well? Theodore: Yes, that’d be a pleasure for me to do. Mark: So tonight, I want to thank both of you guys. I know you’re really swamped right now with all the election stuff going on. So I want to thank Theodore White and William Stickevers. Thank you for spending a couple hours of your time with us. You’re both phenomenal researchers and we really appreciate the time that you take to put out your forecasting blogs and share great reading information with people here and people in our Political Astrology group and elsewhere. So thank you guys very much for sharing your time and wisdom with us. Theodore: It’s been a pleasure, Mark. William: Thank you, Mark. It’s always a pleasure. Mark The Rabbit Hole with Mark Metheny features the latest in Astrology news and great guests from the Metaphysical community. Friday at 12 Noon ET on WithInsightsRadio.